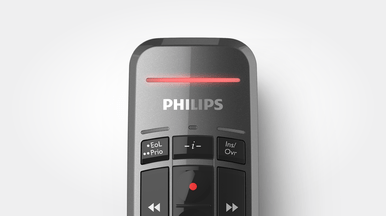 The Philips SpeechOne Remote Control enables you to professionally record and playback dictations even more comfortably. The convenient and familiar design allows you to easily operate it blindly with just one hand and the antimicrobial surface protects you from potentially dangerous microorganisms. 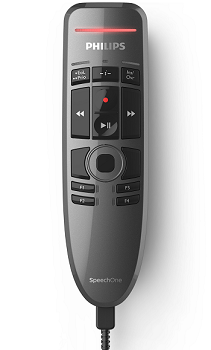 The SpeechOne Remote Control offers professional recording control functions to start, pause and stop recording and playback, fast forward and rewind. These allow you to be in full control of your recording and work even more accurately, quickly and comfortably than ever before. The keys are freely configurable and can be personalized for any user and application. You can freely configure the buttons on your device or use the pre-installed Secured Dragon Mode. 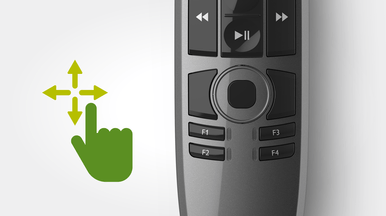 This mode pre-configures the buttons, optimizing them for use with Dragon speech recognition software. It requires no additional driver installation, making set up easy, even in virtual environments. 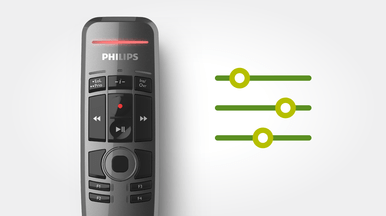 The integrated touch sensor allows you to easily control and navigate within applications while recording, without having to switch between the mouse and microphone. 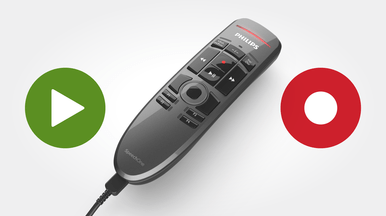 Thanks to the superior ergonomic design, the remote control offers you maximum comfort when controlling recordings or playback. 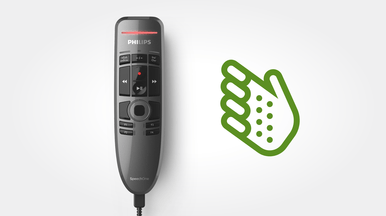 With the familiar innovative remote you can comfortably dictate for even extended periods of time, relax your arm or rest it on the table whilst dictating. 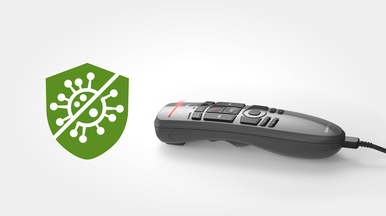 The housing of the remote control is made with antimicrobial synthetics which work against a wide range of different microorganisms such as bacteria, viruses, fungi or algae. This is especially useful in settings, such as hospitals for example. The record LED makes it easy to monitor the recording status without looking at the computer screen. The indicator light glows in red in overwrite mode or green in insert mode while recording preventing you from dictating without actually recording or accidentally overwriting a file.